Once we have analysed your tax debt and your business and financial situation, we can prepare a manageable and realistic ATO payment arrangement plan for you, including detailed cash flow and budget. This will enable you to pay your ATO debt over time, usually without incurring penalties. 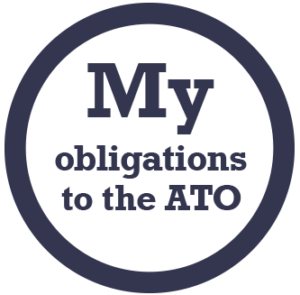 It is very important that once you agree to a schedule of tax payments with the ATO or OSR, that you honour your commitment. If you do not, you may find that they subsequently take a much harsher approach. Because of this, we are very careful in putting forward an ATO payment plan that is realistic, and that is substantiated by the right financial evidence. MTD can help debt repayment complications disappear. MTD will carefully construct and develop a ATO payment arrangement plan that takes full account of all your current financial circumstances. We will analyse all aspects of your present financial predicament so that you can obtain and achieve the most beneficial outcome for you, your business or company. Most importantly MTD develops a tax payment plan that is achievable, realistic and specific to your requirements and circumstances. This is an essential part of your turnaround strategy and your willingness and ability to comply with the tax debt payment plan will afford you greater reputation and business success in the future. 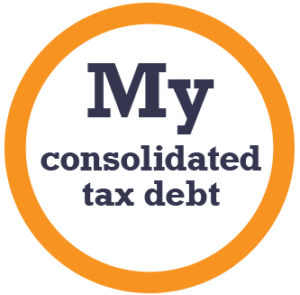 If you need to negotiate and implement a sound and realistic ATO debt payment arrangement, contact MTD now by filling out a short contact form or calling us on 1300 333 433. If your tax debt may be due to fraud committed against your company, please visit our page onforensic accounting. If you need help to finance your tax debt, we can arrange a tax loan for you quickly. Once we have analysed your tax debt and your business and financial situation, we can prepare a manageable and realistic ATO payment arrangement plan for you, including detailed cash flow and budget. This will enable you to pay your ATO debt over time, usually without incurring penalties. It is very important that once you agree to a schedule of tax payments with the ATO or OSR, that you honour your commitment. If you do not, you may find that they subsequently take a much harsher approach. Because of this, we are very careful in putting forward an ATO payment arrangement plan that is realistic, and that is substantiated by the right financial evidence. MTD can help debt repayment complications disappear. MTD will carefully construct and develop a ATO payment plan that takes full account of all your current financial circumstances. We will analyse all aspects of your present financial predicament so that you can obtain and achieve the most beneficial outcome for you, your business or company. Most importantly MTD develops a tax payment plan that is achievable, realistic and specific to your requirements and circumstances. This is an essential part of your turnaround strategy and your willingness and ability to comply with the tax debt payment plan will afford you greater reputation and business success in the future. If you need to negotiate and implement a sound and realistic ATO debt payment arrangement plan, contact MTD now by filling out a short contact form or calling us on 1300 333 433.